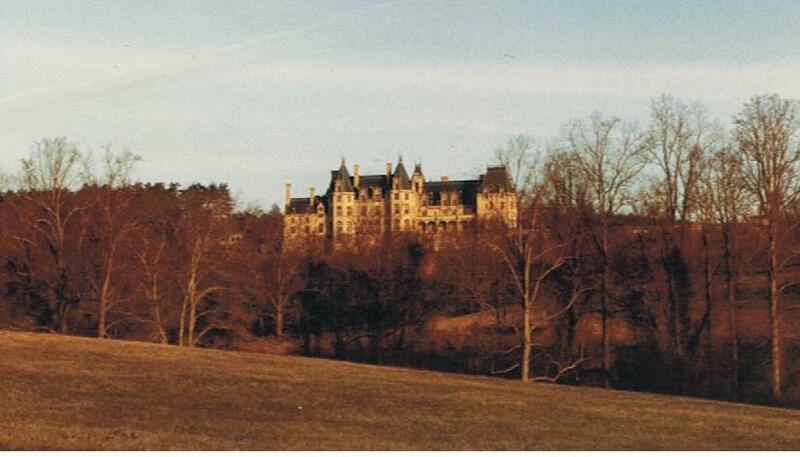 On one of my visits with my husband decades later, we parked in a lot about half a mile away from the Biltmore House and hiked to the site. (There is now a shuttle available.) There’s no tour guide now, and the admittance fee is higher, but we also get to see more of the mansion and estate. A winding staircase greets the guests, and to the right is my favorite part of the house: The Winter Garden. 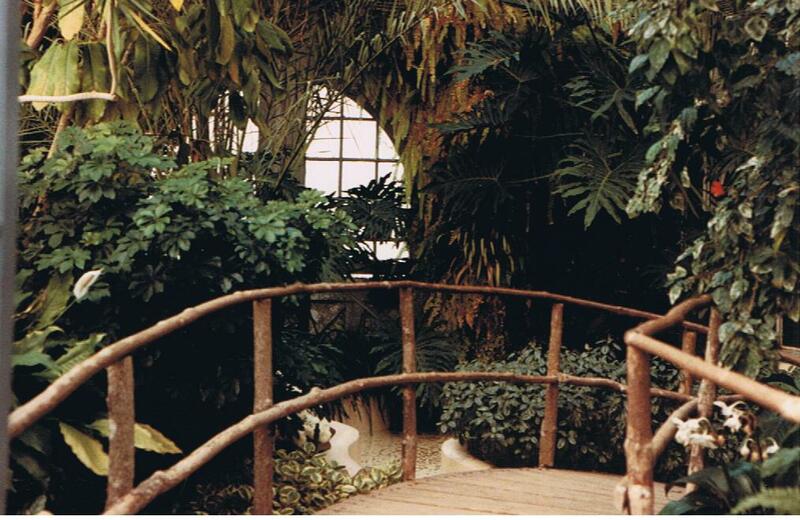 It’s filled with palm plants which reach toward a glass dome and sunlight. As we move through the house, several large bed- rooms reveal the opulence of the Vanderbilt’s lifestyle with elaborate furniture and silk wall coverings, and bathrooms with running water. 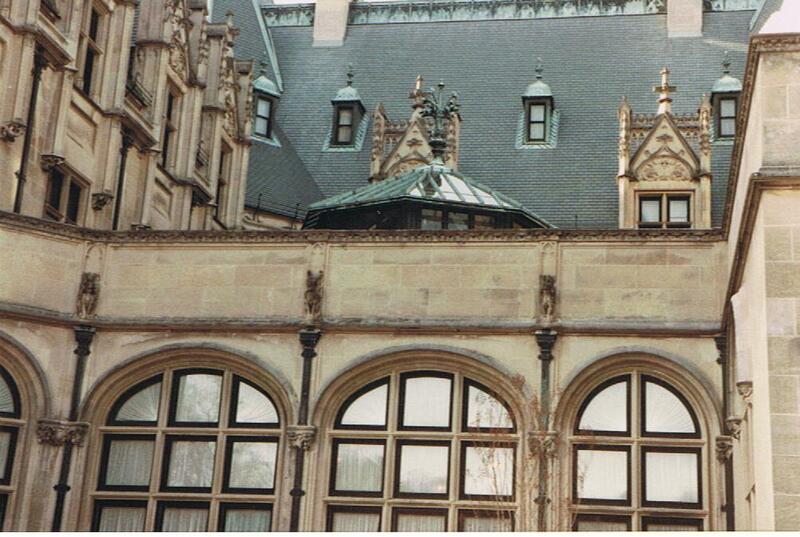 When the castle was completed in 1895, after five years of construction, all of these features were rare. A bowling alley, indoor swimming pool, gardens, and green house all give us an idea of the wealth the Vanderbilts possessed. There is now a restaurant and gift shop in the former stable area, and a hotel on the property. The grounds are abloom during the spring and summer, with an enormous variety of roses and other flowers. At Christmastime the mansion is all decked out with trees, poinsettias, and wreaths, and a tour at night may include Christmas music sung by a choir or another singing group. 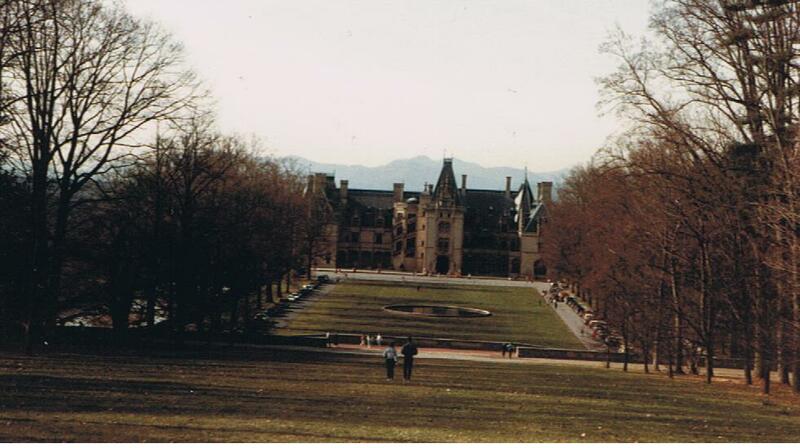 Touring the Biltmore Estate has changed over the years, and it’s still one of my favorite places to visit. I wouldn’t be surprised if most people who go there feel the same way. This entry was posted in Uncategorized and tagged Biltmore Estate, castles, houses, mansions, mountains, NC, New York, North Carolina, Vanderbilts. Bookmark the permalink.